Leadership Team | Ominto, Inc. The Ominto, Inc. leadership team brings together a deep knowledge of online marketing and key innovators in the online shopping space. Their expertise drives the vision of the company, with hundreds of years of collective experience. Michael Hansen is the Founder of the Company, Chief Executive Officer and Chairman. Since inception, Mr. Hansen has continued as the company’s chief strategist and conceptual developer, areas in which he has been recognized globally for his unusually innovative style. Mr. Hansen earned his reputation for creativity and strategic conceptualization early in his career. His early professional experience included a variety of internationally recognized creative environments. 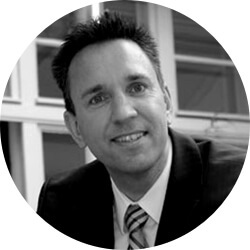 Mr. Hansen holds a degree in mechanical engineering and in the late eighties and early nineties worked as a developer for the Danfoss Group. Later, he was recruited by LEGO and was responsible for theme world development spending much of time designing and creating the highly successful Space LEGO product line. Space LEGO later evolved into the popular Star Wars product line which remains a best seller still today. In 1996, he commenced his entrepreneurial career by developing a successful chain of Mexican-themed franchise restaurants which he sold in 1999 to pursue a career in the Network Marketing industry. His initial experience in Network Marketing included achieving the highest position at two US-based Network Marketing companies, in both telecommunications and financial services. Mr. Hansen founded the company in 2003 to take advantage of the early stages of online trading and combining it with the benefits of the Network Marketing distribution model. Betina Dupont is the Chief Operating Officer of Ominto. 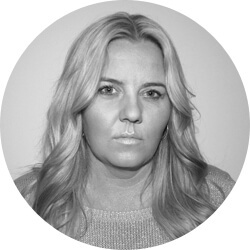 She is responsible for overseeing the company’s worldwide operations, execution of the strategic vision and expansion of Dubli.com, Dubli Network and BSP Rewards. Prior to her role as Chief Operating Officer, she was Chief Marketing Officer of Dubli Network, a position she held since 2005, and was responsible for several key business transformation initiatives that resulted in Dubli Network’s leadership position today. Betina is also the manager of the company’s office in Dubai, UAE. Earlier in her career, Betina worked for a Danish marketing firm and spent two years with Modulex, a division of LEGO® where she worked in the accounting and logistics department. She began her career in Network Marketing in the late 1990s, and spent several years building large organizations and customer bases for two US multi-level marketing companies. She has a Degree in Business Administration from Vejle Business College. She is fluent in Danish, English and German. Sarwar Uddin is the company’s Chief Financial Officer. He joined Ominto following a distinguished 15-year career working with and for various stage public companies, private equity firms and in managing global organizations at the local level. He spent two years as Corporate Controller at Twinlab Consolidated Corporation, a publicly-traded health and wellness product manufacturing company, where he was responsible for financial reporting, cost accounting, treasury, SEC reporting, tax and SOX compliance. 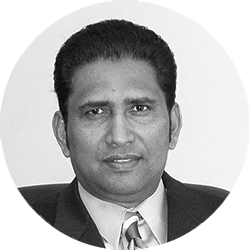 Prior to joining Twinlab, Mr. Uddin spent two years as Vice President of Finance and Corporate Controller at Excelium Holdings LLC, a management consulting and business accelerator, where he provided leadership on all financial matters including treasury/cash management, financial reporting, strategic planning, budgeting & analysis, compliance, and financial systems. Prior to joining Excelium, he was Interim Chief Financial Officer of DCR Workforce, a contingent workforce management and services procurement solutions provider, and earlier, as Interim Chief Financial Officer of Morrison, Brown, Argiz & Farra, LLC, an accounting and advisory firm. Earlier in his career, Mr. Uddin gained global experience during his tenure with Devcon International Corp. and Venali, Inc. as well as a variety of strategic, operational and financial disciplines working with start-ups, turnaround situations and Fortune 500 companies. His experience includes some high-profile organizations, namely, Tribune Media Company, The Hertz Corporation, and the Florida Marlins Baseball Club. He earned a BS in Business Administration and an MBA in Finance from Florida International University and a Master of Accounting from Florida Atlantic University. He is a Certified Public Accountant in the State of Florida and State of Delaware. In 2010, Mr. Uddin was a finalist for CFO of the Year by the South Florida Business Journal. Fiona is an experienced lawyer and General Counsel with over 17 years legal and compliance experience across various industry sectors and worldwide jurisdictions. She has worked as a lawyer in both private practice and in-house with global multinationals and publicly-listed companies, and has particular experience with developing, managing, and leading legal functions for companies operating in multiple jurisdictions. Fiona’s international legal experience is diverse, and includes working for US global multinational companies and publicly-listed companies, including Yahoo!, where she was Legal Director covering the Asia-Pacific region (and prior to that the Middle East and Africa region) handling a range of transactions and matters, within the internet/ICT sector. She was also Legal Director at Tabreed (a publicly-listed energy and utilities company), where she was responsible for establishing and leading the legal and compliance department, while handling a number of complex transactions, involving the restructuring and recapitalization of the group. Prior to joining Ominto, Fiona was the General Counsel and Company Secretary at a leading luxury jewelry retailer in the Middle East. 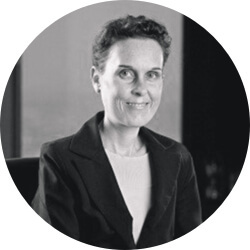 Fiona commenced her legal career in Australia, where she worked as a legal officer at the Parliament of Victoria, and then moved into private practice where she worked as a corporate attorney for Australia’s leading firms, including Corrs Chambers Westgarth and DLA Piper. Fiona holds a Bachelor of Laws Degree (Honors), and a Bachelor of Arts Degree from Deakin University, Australia. Alex Petrilak is Executive Vice President, Ominto Partner Program. Prior to joining Ominto as a consultant in February 2013, Alex spent 12 years as Managing Director of Marketing Systems Management Inc., a management consulting firm providing C-level leadership and operational advisory services to diverse organizations resulting in $750 million in sales, funding and strategic partnerships. With over 30 years of experience in direct and supervisory selling, his expertise is in high volume B2B and B2C sales in the public, private, government and non-profit sectors. Earlier in his career, he was the Director of Marketing for Price Waterhouse where he was responsible for the design and implementation of the PW Consulting Services program for Fortune 500 and Middle Market companies. He also worked at Merrill Lynch Capital Markets as an analyst, Southmark Financial Corporation as Vice President of Sales and Asset Management, and The Paragon Group as Vice President of Marketing and Commercial Development. Alex attended Georgetown University, Washington, D.C. studying International Economics and graduated from Southern Methodist University in 1972 with a BBA Marketing.